Yesterday was one of those days that I never wanted to end! The day of pumpkins was a blast start to finish and I will be sharing all of it throughout the next few days, but right now, we are going back to Friday. We had a ridiculously crazy day on Friday and I was a bit overwhelmed. When I drove in the driveway and went to open the door, there was a package at my feet! I love it when that happens for me! This immediately put a smile on my face just because someone thought of me! Well, not just someone, Jessica from Healthy Exposures shared some goodies from her neck of the woods! In the package was a note that only made the package that much better! In the note was a warning from her for this orange honey creme. Apparently it is highly addictive. Well, you know I had to try it then! Luckily I had baked off some butternut squash spice muffins that I thought would go perfectly with this and OH MY GOSH! She was not kidding! This stuff is amazing! Thank you so much, Jessica, for thinking of me! You really made my day and I can't thank you enough. I have to say too that I have met some incredible people through blogging and while a lot of people think we are crazy for it, I am so appreciative of those of you that share this with me! Thank you for all of your kind words and your friendships! I love packages :) They always put a smile on my face! Day of pumpkins?! Sounds like a nice day to me! And I always love getting packages, especially filled with yummy new foods! I'm glad you had a fun day of pumpkins. I can't wait to hear all about it. And I am so grateful for your friendship, as well. What a fun package to receive. Love that part of blogging. It's so exciting - like Christmas ;-) I am so glad that yesterday was one of those fantastic days that you want to go on and on. You deserve those days girl! So thankful to have met you, lady! Have a restful night. 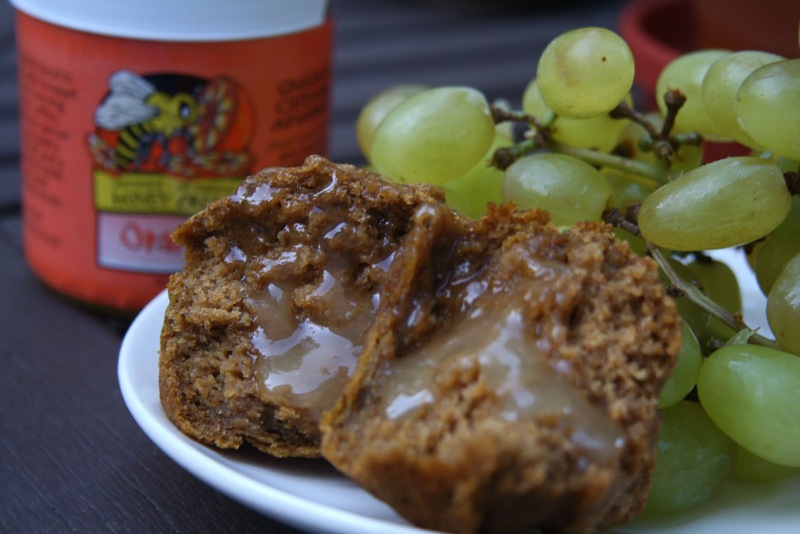 Butternut squash spice muffins? Recipe? Please? 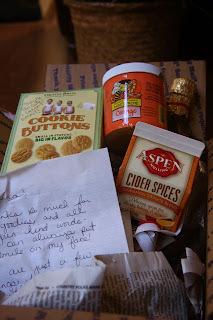 what a wonderful package from another great blogger! It is so much fun to meet such great people through it, isn't it? I am sure all the treats are delicious too! Oh my goodness I love honey! That sounds amazing. aww that's so sweet! 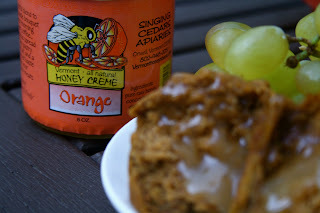 orange honey creme sounds so darn good! Butternut Squash Spice Muffins?! Recipe please??? WOW that stuff looks insanely good. honey + orange = heaven! !